To capture this feeling in your own home, try these three steps to create a space that emanates a relaxing energy. Although only 1,800 sq. feet, the rooms feel bigger because of its highly selective placement of furniture and generous use of natural light. 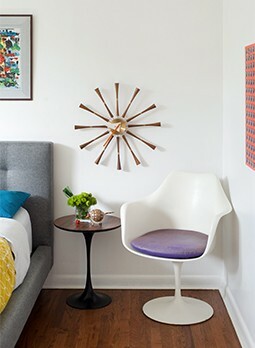 Since the main walls are rounded, arrange your furniture so that it follows their contour. Couches and tables with smooth, rounded edges will be perfect for this because their shape will match the outline of the walls. Too many straight lines will be a distraction, and draw attention away from the house’s unique design. Sectionals are perfect for this job, because they can be arranged to match the angle. If your couches aren’t curved, that’s fine too. As long as the furniture runs parallel to the walls rather than perpendicular to it, your space will feel like it has plenty of room to spare. The furniture of circular homes is well balanced and sparse, but that doesn’t mean it has to empty. 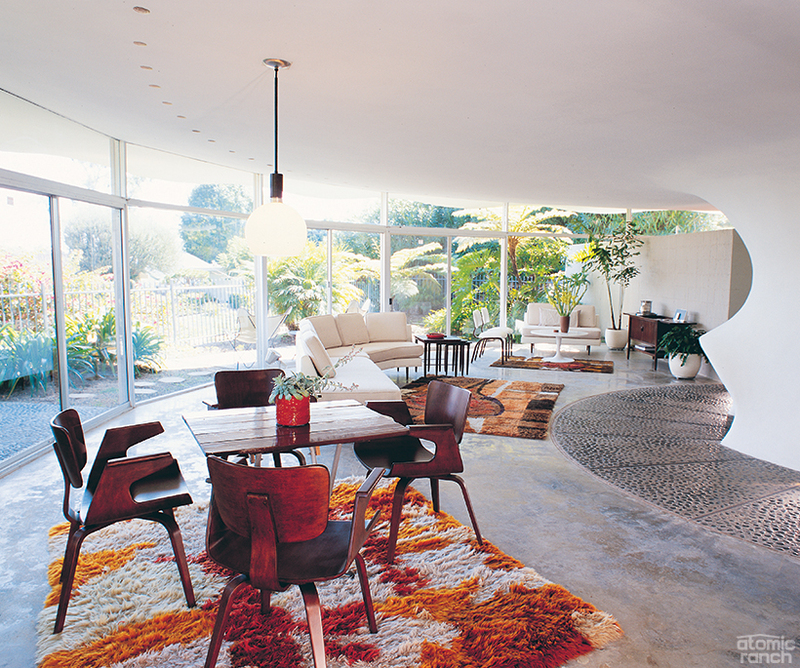 In a circular home, no single piece of furniture should domineer the rest of the space. In your own home, select pieces which easily harmonize with each other. For instance, take white couches and pair them with an oaken kitchen table and other dark wood. It may be difficult, but try to stick with a smaller palette of four colors. If you still need more color, you don’t need to add more furniture. Instead, add as many plants as you like. Their organic shapes will compliment the curved nature of the house nicely. Bring in plants with leaves as big as umbrellas and set them by the couch. Bring in tiny plants as well, such as succulents and liberally place them on the dining room table, counters and desks. These rooms are meant to feel as if they have one, uninterrupted flow. In a circular house, carpets and curtains will make the room feel stuffy. Take down the curtains and pull up the carpet. However, this may presents a unique challenge, the whole point of a circular house is to feel open and spacious, but you don’t want the house to feel like a fish bowl. To ensure that you maintain a cozy feeling, place rugs in various locations around the house. Have fun with the patterns an colors. They should be unique, beautiful and ultimately compliment the rest of the colors. Shag carpet and various patterns will be a welcome addition that adds color and life to the room.